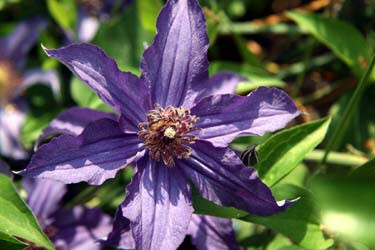 Sapphire Indigo Clematis: grows well in part shade. Sapphire Indigo is a non-climbing clematis. through a small shrub. No trellis needed! and does well in part shade.